This authoritative resource is essential for professionals involved in the design, approval, and operation of municipal solids treatment and disposal systems. Solids Process Design and Management contains the latest information on public outreach and involvement, waste minimization, anaerobic and aerobic digestion, odors, and treatment and utilization of green gases. Significant advancements in equipment, technologies, and processes as well as improved planning, design, and management practices are addressed in this comprehensive manual. Coverage includes: Conveyance of wastewater residuals. Chemical conditioning. Thickening. Sludge minimization technologies. Dewatering and composting. Alkaline treatment. Thermal drying and oxidation. Disinfection and stabilization processes. Pyrolysis and gasification. Transport and storage. Sidestreams from solids treatment processes. Instrumentation and monitoring. Landfill management systems. Chapter 1 - Introduction. Chapter 2 - General Considerations for Planning of Biosolids Management Projects. Chapter 3 - Public Outreach and Involvement. Chapter 4 - Solids Production and Characterization. Chapter 5 - Design Approach. Chapter 6 - Conveyance of Wastewater Residuals. Chapter 7 - Chemical Conditioning. Chapter 8 - Thickening. Chapter 9 - Sludge Minimization Technologies. Chapter 10 - Anaerobic Digestion. Chapter 11 - Aerobic Digestion. Chapter 12 - Dewatering. Chapter 13 - Composting. Chapter 14 - Alkaline Treatment. Chapter 15 - Disinfection and Stabilization Processes. Chapter 16 - Thermal Drying of Biosolids. Chapter 17 - Thermal Oxidation and Energy Recovery. Chapter 18 - Pyrolysis/Gasification and Other Thermal Processes. Chapter 19 - Transport and Storage. Chapter 20 - Management of Odors. 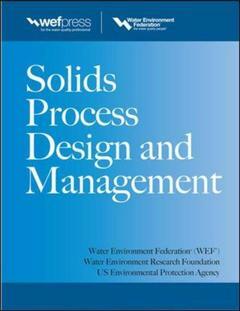 Chapter 21 - Sidestreams from Solids Treatment Processes. Chapter 22 - Instrumentation and Monitoring. Chapter 23 - Land Application and Product Distribution. Chapter 24 - Landfill Management Systems. Chapter 25 - Emerging Technologies. Chapter 26 - Treatment and Utilization of Green Gases.